Adam’s sin harmed only himself, not the human race. The whole human race neither dies through Adam’s sin or death, nor rises again through the resurrection of Christ. And what, you might ask, does that mean? Well, it means that Pelagius rejected a good deal of the nonsense that Augustine, and Paul before him, invented. Original sin (the bit that suggests that we are all tainted with Adam’s sin, even new born babes)? In the trash. Mosaic Law? More than adequate; NT NOT obligatory. Redemption from sin only through Jesus? Not likely. And the final coup? You didn’t need the Church as a middle man….. OH MY!!!! 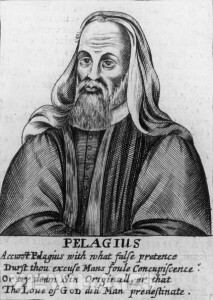 Pelagius felt that one could find one’s way to heaven without the benefit of clergy. His heresy, in retrospect, is likely closer to the historical Jewish Jesus than much the world has seen since, and Mother Church was hearing none of it. honest truth-seekers who choose opinions as if they understand the problem of disagreement and self-deception. According to the theory of disagreement, meta-rational people will not have disagreements among themselves caused by faith in their own superior knowledge or reasoning ability. honest truth-seeking agents with common priors should not knowingly disagree. Typical disagreement seems explainable by a combination of random belief influences and by priors that tell each person that he reasons better than others. When criticizing others, however, people seem to uphold rationality standards that disapprove of such self-favoring priors. This suggests that typical disagreements are dishonest. It seems to me that the Harsanyi doctrine is implicit in much of this literature; reconciling subjective probabilities makes sense if it is a question of implicitly exchanging information, but not if we are talking about “innate” differences in priors. Can agents have common knowledge of their beliefs? In a seminal paper Aumann (1976) demonstrates the impossibility of agreeing to disagree: For any posteriors with a common prior, if the agents’ posteriors for an event E are different (= they disagree), then the agents cannot have common knowledge (= agreeing) of these posteriors. Thus, the short answer to our opening question is that agents cannot have common knowledge of their beliefs when they are different. What does all this mean for Dourado’s application of Cowen and Hanson’s argument about meta-rationality? First we must address the underlying matter of whether irrational equates with illogical (and vice versa.) Then we must consider the difference between rhetoric and logic. And lastly we need to consider whether Homo sapiens can have common knowledge. Quite a tall order, when Dourado simply wants to point out that Krugman is not fully addressing counterarguments, but then, might Dourado be meta-irrational? A discussion of whether rational equates with logical, reason with logic, might well start with Max Weber, if for no other reason than Weber described no less than four types of rationality, none of which were mathematically (i.e. logically) defined. Kant argued for two types of rationality (theoretical and practical.) Certainly Douglas Hofstadter, in Gödel, Escher, Bach suggests rather eloquently that logic and reason may easily be contrarian. In other words, Hofstadter suggests that logic is not necessarily meta-rational. Strike one. Rhetoric is concerned with the thing as-it-is-communicated. Need we look further to acknowledge that rhetoric and logic are not congruent, must as logic and reason are no congruent? The point to be taken here is, as Miriam puts it, “Grammar is the art of inventing symbols and combining them to express thought; logic is the art of thinking; and rhetoric, the art of communicating thought from one mind to another, the adaptation of language to circumstance.” Strike two! And now we must return to Aumann et al., and it would seem that logic tells us that Dourado struck out, as it is unlikely, if not impossible, that Homo sapiens, engaged in argument, can have common knowledge. It would seem that the basis for Dourado’s argument is illogical, but is there rhyme to his reason, rhythm in his rhetoric? Perhaps the reason that we see the concept of meta-rationality promoted are the problems of self-reference and uncommon priors. “Internet Austrians”, besides assuming that Homo sapiens acts rationally for rational purposes. assume that there can be a state of perfect knowledge and that this state can be obtained naturally by virtue of the population acting rationally for rational purposes, which it is assumed, what the population in fact does. The basis of Austrian thought then is tautological in the sense that according to that School, there being no way to empirically test the assumptions made, the arguments must be a matter of faith. Of course, the fact that this state has never been observed is attributed to “the venality of Man’s desire to defeat the free market for their own advantage.” 6 In other words, the alleged beauty of the wholly free market, the mechanism by which perfect knowledge would be obtained, will ever be defeated by the natural proclivities of Man. Ouroborous; need one say more? Now we come to the question of uncommon priors which brings us full circle to the question of logic vs rhetoric. While Cowen and Hansen promote theory of logic, as we have noted, logic need not be rational, and it may not be the tool of choice depending on the purpose., as rhetoric is arguably more appropriate to persuasion than logic. Krugman opens himself to Dourado’s analysis because Krugman, unlike Austrians, argues for external and testable priors, but as Dourado argues (as well as Syll 7 and Keen 8 , the noted instances just examples of criticism), Krugman does seem to engage in the practices to which Dourado objects. No, Krugman does not do it all the time, but he has been criticized in this vein by other than a young PhD student (who doesn’t, in his piece, connect all the dots to actually demonstrate the “truth” of the criticism he makes.) So, from a gross perspective, Dourado is correct, in that, whether or not he proffers adequate evidence of his points, Krugman’s own peers (and Krugman himself, as we see in his criticism of Stiglitz earlier this year, touted here by David Henderson) engage in such criticism, arguing that various perspectives are or are not accurate, and the basis (or lack thereof) for the criticism. We have to inquire, though, whether what we are witnessing is a logical academic effort, or a rhetorical policy directed effort, and it would appear that on the face of it, we must agree to agree that the arena Dourado is examining is one of public opinion, where rhetoric holds sway. Does rhetoric render a speaker dishonest? This is where the “theory” becomes unusable in that the theory would require agreement on “facts” and process, and as we have seen, “fact” is illusory and there is no agreement on rhetorical process. And here is the cross that social science must bear; the elite must, in Cowen & Hansen’s terms, clear a meta-rational space for the discipline, free of the static of “ceteris parabus” and other nonsense. But the academic space is a separate domain from the forum of public opinion, whether that is problematic or not. In the forum of public opinion, Dourado’s criticism may be well placed, but with respect to academics, he has made no case. The rhetorical effort to promote rational policy based on an argument of economic analysis in the public square is a far cry from the court of academe, and in this situation, as in so many others today, we seem to be losing those distinctions; we are in a 21st Century Reformation where any internet blogger presumes himself to have an opinion as valuable as any Nobel Laureate professor. And this all begs the question presented by Luther some 600 years ago (and in a larger sense presented by Rushdie and Kazantzakis), how does one decide? Dourado promotes Luther’s argument and that having been disastrous once before, I see no reason it wouldn’t be disastrous again, but more on that in the next post…..
Aumann, Robert J. “Agreeing to Disagree.” The Annals of Statistics 4.6 (1976): 1236–1239. JSTOR. Web http://www.jstor.org/stable/2958591 . 17 Mar. 2013. Citing, Harsanyi, J. (1967-1968). Games of incomplete information played by Bayesian players, Parts I-III. Management Sci. 14 159-182, 320-334, 486-502. “Paul Krugman Is Brilliant, but Is He Meta-Rational?” The Ümlaut. Web http://theumlaut.com/2013/03/13/paul-krugman-is-brilliant-but-is-he-meta-rational/ . 17 Mar. 2013. Cowen, Tyler, and Robin Hanson. “Are disagreements honest.” Journal of Economic Methodology (2002). Web http://www.mercatus.org/uploadedFiles/Mercatus/Publications/Are%20Disagreements%20Honest%20-%20WP.pdf 17 March 2013. Lehrer, Ehud, and Dov Samet. “Agreeing to Agree.” Theoretical Economics 6.2 (2011): 269–287. Wiley Online Library. Web http://onlinelibrary.wiley.com/doi/10.3982/TE578/abstract . 17 Mar. 2013. 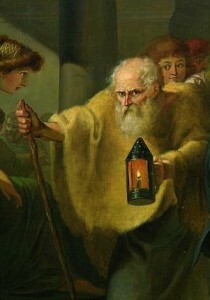 Joseph, Sister Miriam. The Trivium: The Liberal Arts of Logic, Grammar, and Rhetoric : Understanding the Nature and Function of Language. Paul Dry Books, 2002. Print. Wingo, Gregory Allen Facebook rant. One might inquire whether it’s more accurate to say “the venality of Man in promoting the free market”…..
“Krugman’s Vindication of Neoclassical Macroeconomics – Brilliantly Silly.” LARS P SYLL. 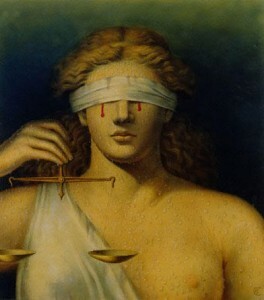 Web http://larspsyll.wordpress.com/2012/07/14/krugmans-vindication-of-neoclassical-macroeconomics-brilliantly-silly/. 17 Mar. 2013. “Steve Keen: How Krugman Lost Equilibrium (Part 2) « Naked Capitalism.” Web http://www.nakedcapitalism.com/2013/03/steve-keen-how-krugman-lost-equilibrium-part-2.html . 17 Mar. 2013. Hofstadter, D.R. Gödel, Escher, Bach: An Eternal Golden Braid. Basic Books, 1999. Art of Mentoring Series. It occurred to me, on the occasion of re-reading, of all things, one of The Economist’s blogs on President Obama’s State of the Union Message (and the blog is well worth reading) that Rawls is an unknown quantity to most Americans. This is not unexpected as so many in the US are under the spell of the credible, but inconsistent (blame Bertand Russell for that) John Locke. Many, if not most, in the US are repelled by the name Machiavelli, but hold as the source of their highest moral authority the concept that they own themselves. Me. Me, of course, leads to Mine. And as the high priest of acquisition, Locke insists that More is a moral imperative. A major focus of the campaigns against Obama was based on a deliberate effort to misconstrue and misrepresent the President’s speech in which he pointed out that what private business does is based on public infrastructure. The result was the “we built that” flag waving and the accompanying entrepreneurial chest beating that the country endured. What appeared to most Americans as either shallow campaign drivel or at most a principled disagreement on the nature of the welfare state vs personal liberty (though few of those engaging in such discussion really understood those concepts), also offered a third level. Rawls argues for a collective ownership. You may own property, but your ownership of that property is not absolute in that you could not have obtained it without the assistance of the collective, assistance that from the perspective of the Lockean is at best a beneficial externality if considered at all. Hence, in claiming that “I built that” the Lockean’s unstated claim that he built that on his own, the American entrepreneur is engaging in a deception that Rawls would lay bare. In suggesting a “just” society, Rawls is doing in a broader sense what we have legislated in the narrower sense with regard to the numbers racket. And as the anarcho-capitalism of the Mafia is arguably the love-child of Austrian economics, Rawls just state offers equality, a value that Locke would have us waive. So how would that sit with those worshiping at Locke’s altar of Dominionism? They are of course outraged that their authority is not absolute, and just as you would expect from any child confronted with some limitation as to their behavior, they stomp their feet and issue juvenile challenge we all know so well…….